Around 1920, Liu Li Han, 22nd generation renunciant became the disciple to Wang Zhi Dao. Liu Li Han was to mark the end of single disciple transmission due to the oncoming modern era and cultural revolutions which his lifetime would face. After Wang Zhi Dao had taught everything he knew to Liu, around 1940, it is said that Wang left China to go to Tibet, Nepal, and towards India; it is possible he went to Thailand or Laos, due to the political unrest in China. Liu Li Han was situated in Wuhan, Hubei along the Yangtze River at the Wu Chang Snake Mountain Wudang Temple. After 1949, Daoism was no longer permitted to be practiced by the Communist Revolution and many Daoists were forced to flee or return to society to practice in secret. Liu Li Han lived out his life (at some point he traveled to Si Chuan and Yunnan Provinces accepting two students). Not until the 1980’s, when the Communist Government began to encourage the country to engage in athletic activities, did Liu Li Han begin to teach the outside. He accepted around eight students throughout that decade, but none of them were Daoist renunciants. 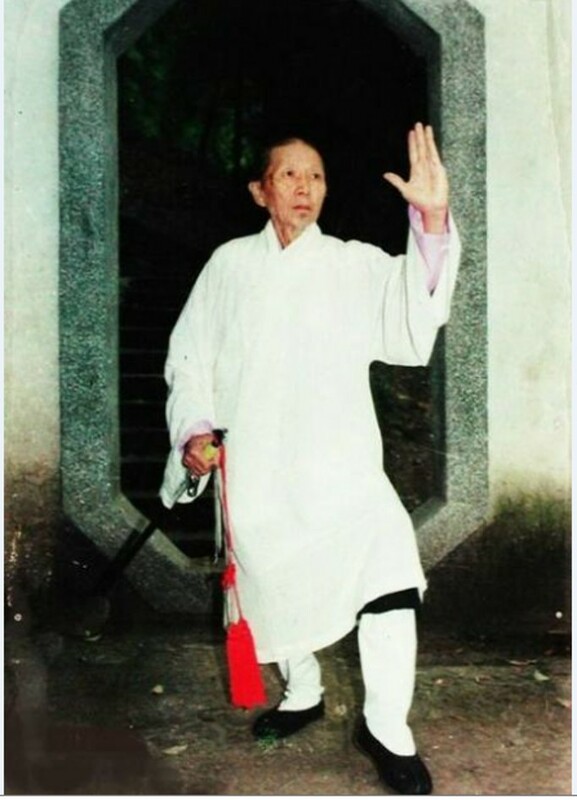 He withheld the three secret arts of Chun Yang which can only be passed within the religious sect, teaching to them the martial and medicinal techniques alone. Many sports committees were formed in the 1990’s. Hubei Province Ti Wei summoned Liu to come out of reclusion and teach his martial exercises to many. After being pressured several times, he agreed to accept more students. This new wave of students was even less trusted by Master Liu. The internal depth and meaning of the forms were lost to them. Liu taught martial arts and traditional Chinese medicine techniques to over 20 students in the “Zong” (23rd) generation. Each of those students held their own special talents, the things they excelled in, and did achieve a very high level in those arts through years of dedication. Therefore Pure Yang Wushu and Longevity exercises are well known in the Wuhan area. Liu Li Han carried the weight of the lineage through the era. He taught fist, sword, and gong because these things may be passed down to “the outside.” But those things which are involved behind ceremonies and spells may only be passed down to a disciple who has been closely examined for over ten years, who has renounced the world and taken true refuge in the Dao. This is called “Dao bu luan chuan.” The Dao may not be passed messily. This is the tradition of single disciple transmission since the Yellow Emperor. By 1999 Liu Li Han was 98 years old and had still not passed the deep arts of Chun Yang, which had been kept alive since the life of Lu Dong Bing. He feared the teachings would die with him, so he decided he must give these techniques back to Wudang Mountain, where they had not returned to for almost 100 years. That is when he journeyed to White Horse and found Daoist renunciant Du Zong Chang (Li Shi Fu) to whom he transmitted the jue, fa, zhou. This marked the return of Chun Yang to its original whole, its union of martial technique and healing with the esoteric and spiritual teachings of The Way and Virtue, as well as ceremony and faith. Li Shi Fu was one of the last students accepted by Liu Li Han. In fact, he spent near to the least amount of time with the master compared to the other disciples from Wuhan. Liu Li Han ascended in the year 2002. In the last three years of his life was when Li Shi Fu would go to visit him to learn the sacred arts. Li Shi Fu would not have been able to comprehend those things if it were not for his other masters and lineages which had come before, especially, but not limited to Tao Shi Fu.